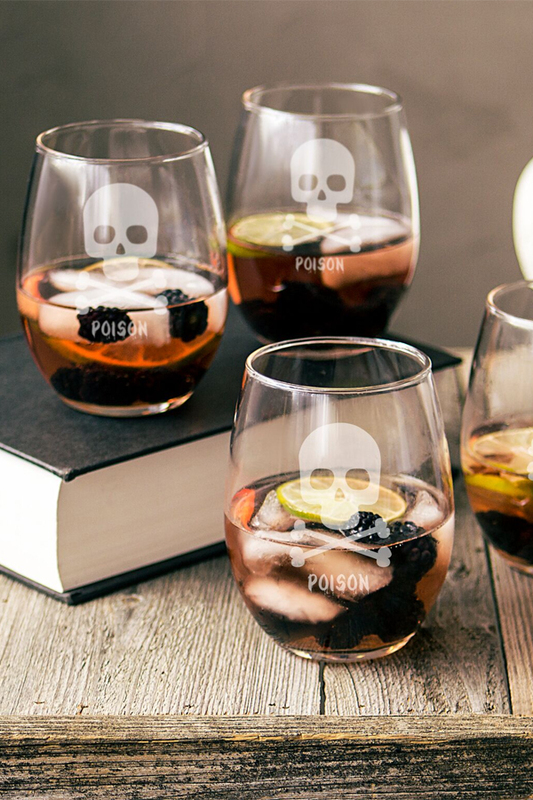 Serve up spirits, sangria, and homemade wine at your Halloween party in these custom skull and crossbones stemless wine glasses. 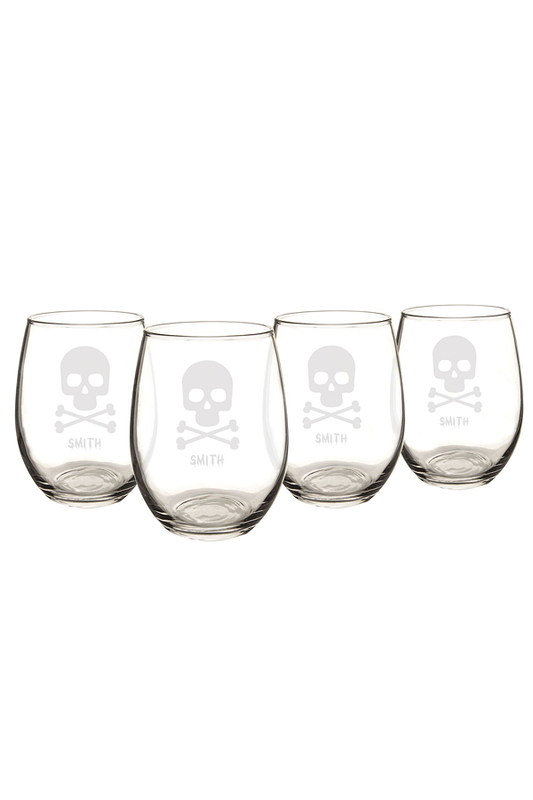 Each wine glass features an engraved spooky skull and crossbones design with one line of custom text below. Personalization available in uppercase letters only. Each order includes 4 wine glasses. Glasses hold up to 21 fluid ounces. Dimensions:2.875” W. (at top) x 5” H. Holds up to 21 oz. 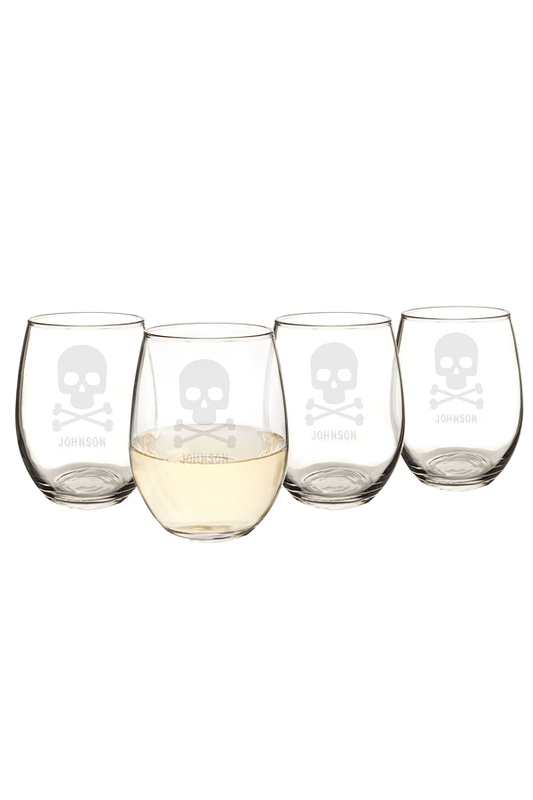 Features: Contemporary stemless round shape and a unique skull and crossbones design. Engraving Options: May be engraved with a custom line (max 12 characters) under the skull and crossbones designs. Personalization is uppercase letters only.